You’re surrounded by peaks so steep they look like cartoons. Ice hangs precariously from their tops as if a toddler dolloped icing about the landscape. Everywhere you look the jagged knife edges of the Himalaya stare back menacingly. You peer cautiously over the edge of the trail, even that makes you dizzy. The milky glacial river roars below you. SPLASH! PLOP! As you turn around you see your guide and partner chucking rocks into the icy waters below. Chuckling, you pick up your own stone and give it a throw. PLUNK. Down it goes. In Nepal, finding a great guide can make or break your trip. Here’s how to hire a trekking guide in Nepal and have the experience of a lifetime. I’m an independent person. 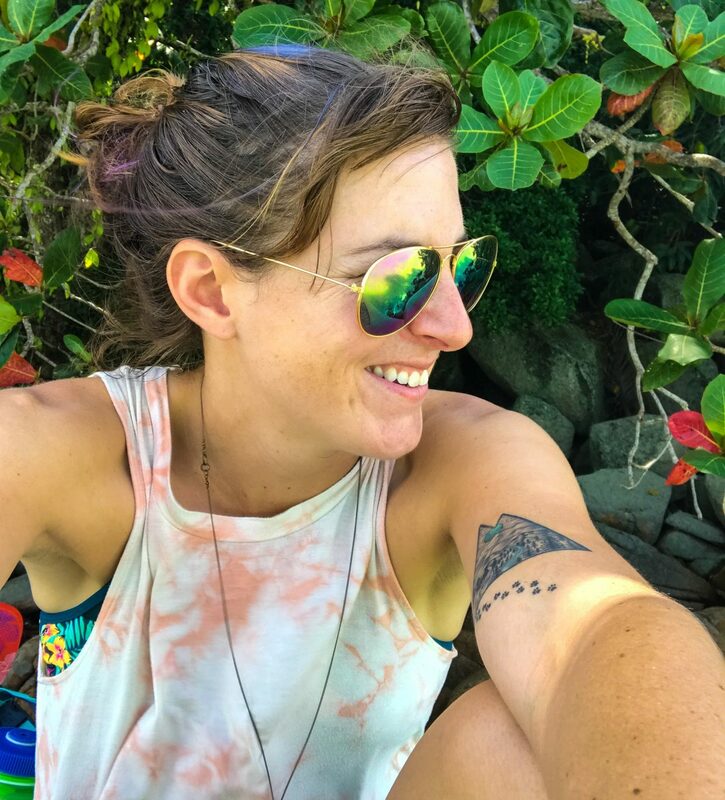 Having traveled via local transportation through Java, solo adventured through Mongolia and backpacked over 100 miles on the Colorado Trail I understand how to dive right into a place unsupported. However, for my visit to Nepal, I hired a guide and a porter. Could I have navigated the trails on my own? Sure. They are well marked. Could I have managed to find myself a place to rest my weary head at night? Absolutely. But should you trek in Nepal without a guide? Unless you have lived here, been here many times, or have close local connections I wouldn’t recommend it. Tourism is the number one industry in Nepal. 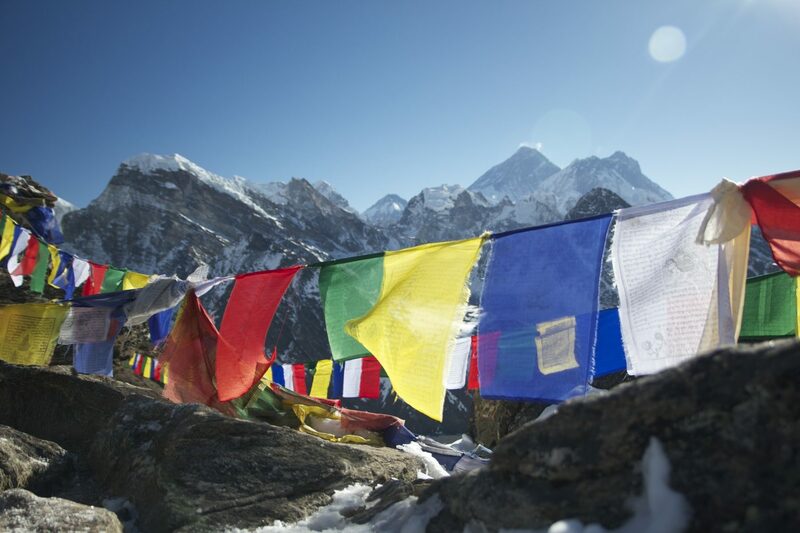 For those not in the know, Nepal boasts eight of the 10 world’s tallest peaks. In essence, this is a mountain mecca and hundreds of thousands flock here each year to tackle her challenges and admire her beauty. However, don’t be fooled, Nepal still struggles to develop. It is a new democracy lacking a constitution with plenty of hurdles ahead of it. According to the World Bank, the annual household income in this humble land-locked nation is a mere $730. Nepali people are extraordinarily resilient; always looking at the positive and depending on zero help to better their situation. Throughout the trek, I spoke with both solo trekkers and Nepali alike about having a guide and porter. One trekker was shocked that an outdoorsy couple from Colorado would hire a porter to carry their baggage. We explained that we could have carried our own gear, but we chose to provide someone with work for two weeks instead. All around us we got approving nods from the locals. Having a guide and porter isn’t a sign of being a newbie in the mountain world or being weak, it’s a sign of respect. Locals pick up on this. They are more curious about trekkers with guides and much more welcoming. The single best thing you can do as a tourist is to find a Nepalese trekking agency, hire a Nepalese guide, and utilize a Nepalese porter while trekking in Nepal. By doing so you are not only giving people much-needed work, but you are also giving back directly to the community. Guides offer you a window into the fabulous culture of Nepal. Nepal operates on a community-based culture. It is all about who you know. If you’re traveling solo you’ll know no one. The only successful solo travelers we came across either lived in Nepal or had visited many times and made local friends. If that’s not you a guide can help you engage with the local community on a meaningful level. Guides, especially good ones who have been doing this for years, are a part of the community surrounding your trekking route. You stay in lodges where the guide is welcomed and by default, you are welcomed too. We stayed in one lodge where our guide said we could do some laundry. So we bought soap in Namche and got some much-needed washing done, for free. Since I was fresh out of even passably clean socks and underwear this was a godsend! Finding a local trekking guide in Nepal that welcomes you like family can seem a bit like a crapshoot. Before committing to a single agency, email several different agencies. Ask a bunch of questions. Discuss if there is room to personalize a trek just a little, like seeing a particular landmark at a certain time of day or going on local acclimatization hikes. If the response is a resounding yes, chances are the guide service is flexible and wants to welcome you to their country. Doing laundry the good old fashion way, like a local. Hire a Trekking Guide in Nepal that Allows You a Glimpse into Their World. The insights our beloved guide Krishna provided were invaluable. You really get to know the people you spend most of your day walking with. We spent hours talking about anything and everything. We learned from each other. Nestled in a stunning backdrop we sat and shared stories about our past, our dreams, our hardships, and successes. We laughed, we sang and carried on with practical jokes. Genuine cultural exchanges are the heart of travel, don’t miss out by going alone. Pro Tip: When inquiring about trips, state that you are interested in learning about the local way of life. Engage with your trekking guide. Ask him about his life, family, and childhood. But don’t just ask, respond as well. People love to talk about themselves but by giving back insights on your home you can learn from one another. We often told funny stories from our childhood about how we teased our siblings or got in trouble for silly behavior from our elders. Krishna and I still chat on the regular a year after returning home. People who trek without guides and porters most certainly receive different treatment than those who don’t. We not only witnessed this first hand but spoke to a few lodge owners about it. To put it simply, if you’re traveling solo you will get the lower quality room. You will pay more for it. If you are traveling during the high season and the lodges are busy, even full up, and you’re alone chances are you will be turned away. People sleep in common rooms during the high season because there simply is not enough room in the small villages along trekking routes. Lodge owners informed me that if I were to show up with a guide and the lodge was full he would find my guide, porter and me place to sleep. If the same were to happen with a solo trekker, they would be turned away or given a tent. Be sure to find a reputable company that includes both the guide and porter’s meals and lodging with the price of your trip. You can ask the company you are looking to trek with or see if the information is on their website. Often times, ultra-cheap prices equate to poor treatment of guides and porters. This means you will not only have a grumpy guide, but you will also be supporting poor treatment of employees. One of the most frequent questions I get asked about Nepal is how to find a guide. There are two methods: one is to wait until you get to Nepal and the other is a good old web search. Regardless of which method you choose make sure your guide is a TAAN member. TAAN or Trekking Agency Association of Nepal sets forth a minimum standard for safety, health, and the environment with a trekking agency. Trekking agencies often display on their websites if they are TAAN, and you can always ask an outfit to show their licenses. For example, the company I trekked with, Trekking Planner Nepal, has all of this information on their web page. Most people don’t have the time to head to Nepal, shop for a guide, and hope it works out. Simply google around for the tour you want to do. Find several companies with different itineraries and prices then send out inquiries. Ask questions you do and don’t know the answer to. Next, judge the responses. In the end, I went with Trekking Planner Nepal based on their response time (Dipak was quick to respond) and how honest I felt he answered my questions. You’ll know when you’ve found the right fit. The disadvantage here is that you don’t meet your guide beforehand. This method is a bit trickier and I would honestly advise against it unless you’ve done it before or have loads of time. Basically, you show up in Kathmandu and search for a guide there. The reason I wouldn’t recommend this method is that you are much more susceptible to scams. However, the method remains the same. Ask questions that you do and don’t know the answer to and go with your gut. Trekking isn’t going to break the bank, but it isn’t a budget activity either. The people must work harder than you can imagine to haul building materials, food, and supplies up to villages so you are more comfortable. Going out alone, disrespecting their traditions, and attempting to lowball them will only alienate them. Hiring a guide and porter not only helps the local economy, but it ensures you will have a welcoming Nepali experience. Be a part of the community, not apart from the community. Awesome post.. Incredible pics! The one on the bridge needs to be framed. I loved this article! So informative. Thanks for your sharing your experiences and advice. Great post! I think that is a great idea to help the community. And what better way to see Nepal than to go with a local who holds so much information about the location. I completely agree! I’ve read stuff from travelers who insist on doing everything themselves and pat themselves on the back for not exploiting local workers. And it’s definitely true that some guides/porters get overloaded. It’s important for us to be mindful and respectful. But at the same time, if my coming to a country and needing help provides someone with a job? I don’t see anything wrong with that. For anyone unsure of their own hiring/bargaining skills, Intrepid Travel employs all local guides and porters. My trek with them in Nepal was great. I’m glad you had a good trek Danielle. I used Trekking Planner Nepal and they were excellent as well. Porters now have a weight limit and are only allowed to carry a certain amount. I don’t think it’s exploiting people at all. These people want tourist dollars, but the nice thing is, unlike much of South East Asia, they aren’t greedy about it, but fair. Nepal is an amazing place to those who respect it! A local guide who knows the place well really takes the experience to the next level. I traveled in Rajasthan , India last year. And the guides that we took in the forts and palaces really enhanced our experience. Had it not been for them, we won’t have known the significance, history, and culture of many places that we visited. I think it’s really important to support the local community when travelling, exactly like you said. Nepal looks like a wonderful country and I’ll hopefully get to visit one day. I always try and do some sort of walking tour that’s hosted by a local when I visit a new city. Wow I had no idea of the implications of not having a guide. Like you I’m an independent solo traveler whenever possible but would never consider Nepal without a guide. Seems daft! But from the sounds of things a lot of people do it. It looks like an amazing time! I’m a pretty independent traveler too, but the Himalayas are a beast all their own. I’ll be hiring a guide when I make it thera, for sure! See through local eyes – the best point. It’s always interesting how locals perceive their country, local problems, their habits.. Cool article! Trekking Nepal is a dream destination for me…I would definitely do some sort of guided trip, though, I can’t imagine trying to navigate the language and customs without one! Great tips!! I am pretty independent and like to do nost things on my own, but I would be too scared of getting lost in Nepal. I would have to hire a guide and think it’s a great way to learn about their culture. Thanks so much!! You’ve convinced me! It definitely seems like hiring a local guide is the best way to go in Nepal. Also, your hike looked amazing!! Thank you for all the details and beautiful pictures. Shared with a friend that wants to go. Great post and awesome pictures! I had never really thought of Nepal as a place to travel, you may have just added it to my list! That’s a very informative and very practical! Local guides are always awesome esp with helping routes in places where gps doesn’t do a good job as well as giving some knowledge of local lores and legends! 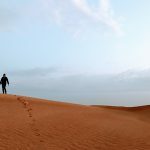 I’m impressed you trekked around Mongolia by yourself! You made some valid points for hiring a guide in Nepal and I think I would definitely hire one. Another positive is that they’ll be able to your picture trekking for Instagram! Very insightful post. Never thought of so many angles to this topic before. Makes so much sense looking at all these reasons. Incredible pictures and the tall proud Himalayas! I simply love them. I agree that how important hiring a guide is. It not only boosts the local economy and provide work to the locals but also helps one to be a part of local community, enjoy the place and see the insights of the place . Thanks for the great info and tips! This sounds like an amazing experience. I especially agree with hiring a local guide and contributing to the local community! I think you raise some really great points, if I were to visit, I’d definitely hire a guide. Especially the concept of making a new friend from a different culture – love it! Although I’m sorry your friends had a difficult time, it’s interesting to hear similar things from travelers as well. Our guide told us about what happened to him and his family during the earthquake. His dad lost his house so him and his family moved to Kathmandu while is dad lived in his house and they are slowly rebuilding. He has been sending me photos of his progress since I’ve returned home. It’s been amazing to see how quickly things get put back together out there. I also know that by going there and enlisting his services, I’ve directly helped a family in need. This is great, I totally agree with all of it. I did the Annapurna circuit in December. Our group had a guide, plus 2 assitant guides and 4 porters. I was completely happy with the team. I loved interacting with them all but knowing that we were supporting locals and their families was great to know. Ironically on day 2 we saw a group of 3 people on the way back with heavy rucksacks and no guide or porters. They had been unsuccessful in making the pass and had had to return. So I guess it shows having a guide is defintely the best way. Thanks Becky! I’m glad you guys made it to your destination! Fantastic post and some amazing points made. I love the idea of simply helping the country and giving the guides the much needed work. I really want to do a trip to Nepal so I’m glad you’ve raised these points. Really useful post and some great photos. Thanks for sharing. what a great article! 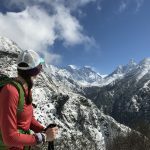 We loved touring nepal and while we did do some trekking we did not use a guide This article is making me rethink our decision! But you definitely made me consider getting a guide when I go to Nepal – and be it just for savings in negotiating local prices. At first I thought it was rude too – but when you think about it – it really isn’t. I would be pretty offended if I were in their shoes and people didn’t want to support their way of life. You are a visitor in their country and I think it’s important to be a socially conscious traveler. We heard this from more than one guest house owner, and witnessed solo travelers being treated differently. I don’t normally use guides – but I was forever thankful to have a guide while in Nepal.